Wedding Cats embroidery. 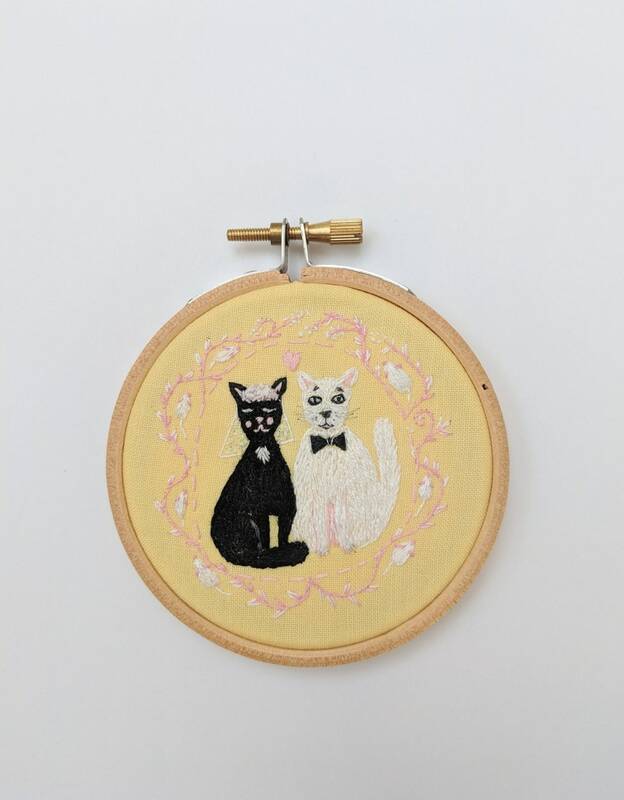 Hand embroidery hoop wall art with black kitty and white cat. Wedding Gift. Cat wall art. Embroidery wall hanging. 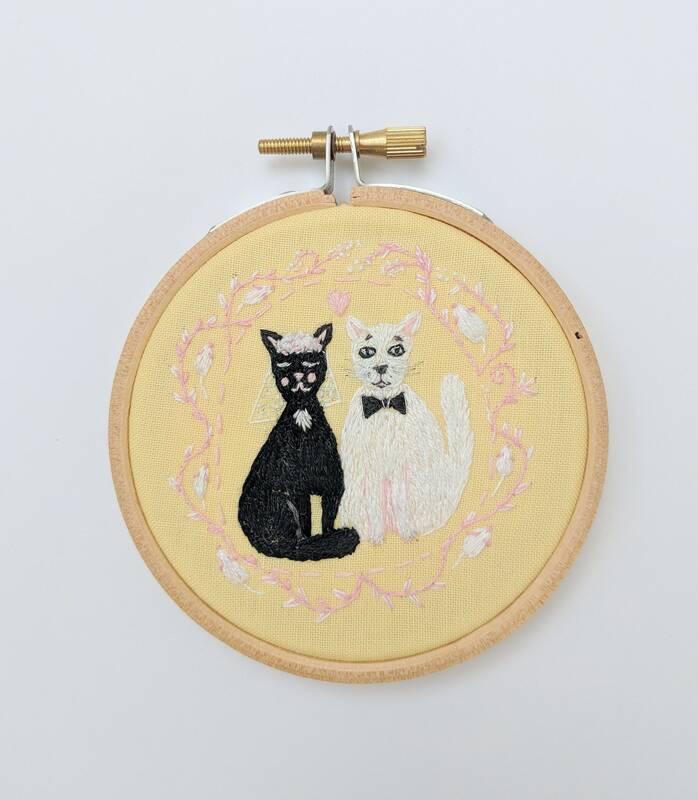 Hand Embroidery Hoop Wall Art - Wedding Cats. 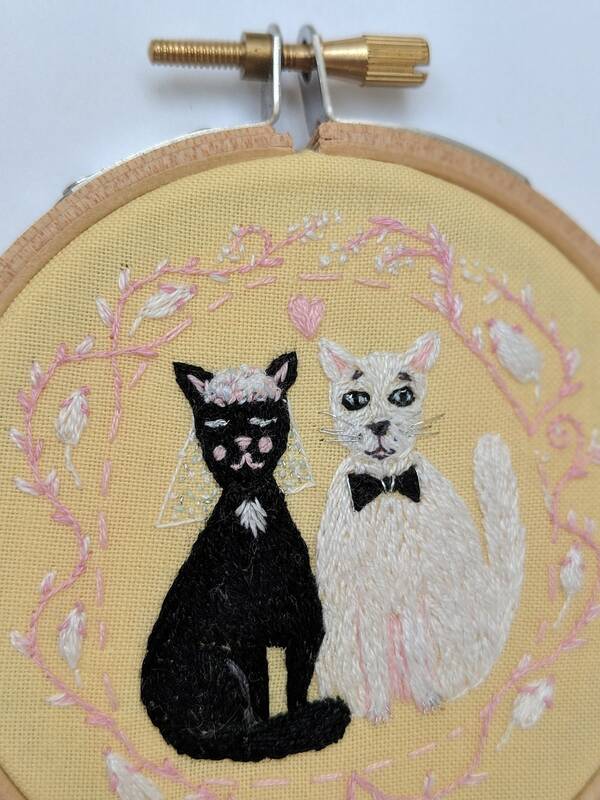 White cat & black cat embroidery is a very sweet wedding gift.